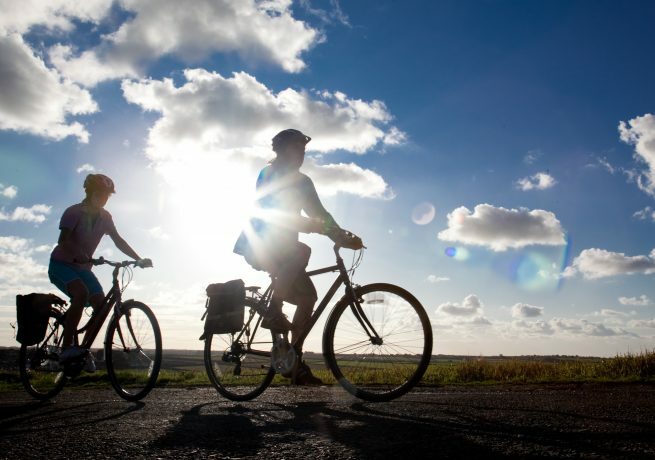 Cycle through the heart of Cornwall to experience both the north and south coastlines. See both sides of Cornwall on our Coast to Coast Tour. 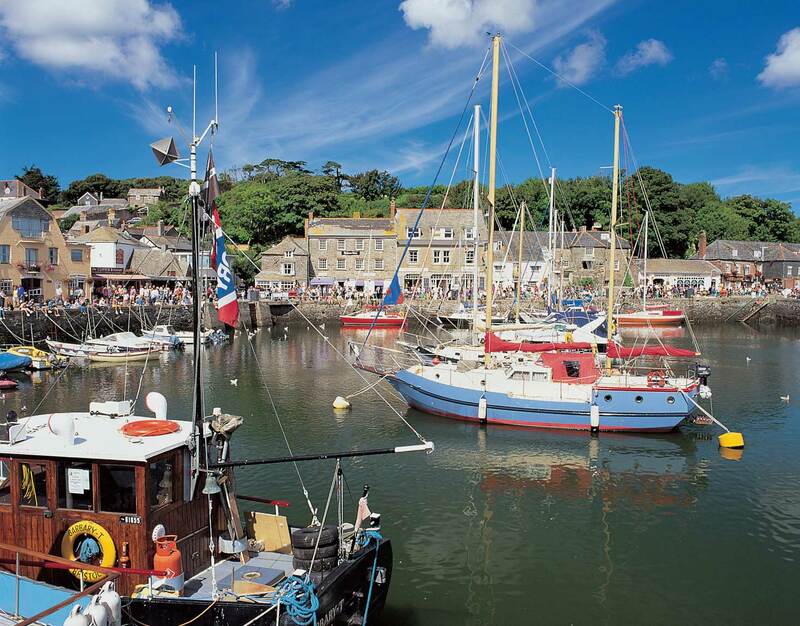 The carefully-planned route takes you through the idyllic south coast towns and villages of Charlestown and Mevagissey to the surf-drenched north coast at Newquay and towards Padstow. For a more challenging version of this tour try the Coast to Coast Tour – 5 days. Cycle hire: Add £90 per person. Electric cycle hire: Add £240 per person. 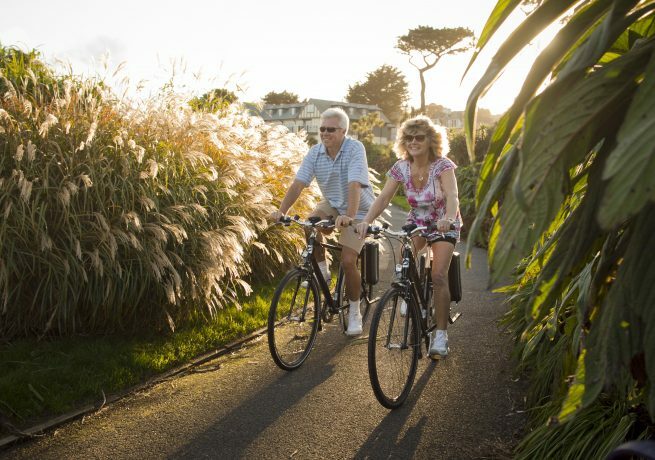 Leaving Wadebridge, your tour begins with a gentle cycle along the Camel Trail, from where a short detour takes you to the award-winning Camel Valley Vineyard. Continuing along the river towards Bodmin, you’ll pass the 18th century Bodmin Jail and the Bodmin & Wenford Railway, where steam locomotives still ride the rails. Then it’s on to the unspoilt village of Lanlivery for your overnight stop at The Crown Inn, a 12th century longhouse. The Crown Inn, Lanlivery The Crown Inn, Lanlivery is one of the oldest pubs in Cornwall offering relaxed bed and breakfast accommodation. The Crown Inn also serves award-winning food and drink for lunch and evening meals every day of the week. The Crown Inn has been sympathetically restored to its original style and the bar is an atmospheric place to enjoy a drink or a meal alongside the roaring log fires. The Crown Inn has nine comfortable en-suite rooms, all awarded three diamonds by the AA. In the morning you will pass The Eden Project and ride along parts of the Clay Trails. Then it’s on to the historic port of Charlestown which has been used as a location for filming Poldark and Jane Austin’s Persuasion. There is also a shipwreck museum here where you will see some spectacular tall ships docked, and The Rashleigh Arms is a great lunch stop. The day’s destination is Mevagissey, a small working fishing village with narrow streets filled with gift shops, cafés, galleries and pubs. Boscombe Bed and Breakfast, Megavissey Boscombe Bed and Breakfast is a small, family run B&B with a genuine warm and welcoming atmosphere run by hosts Andrew and Lynn Marshall. 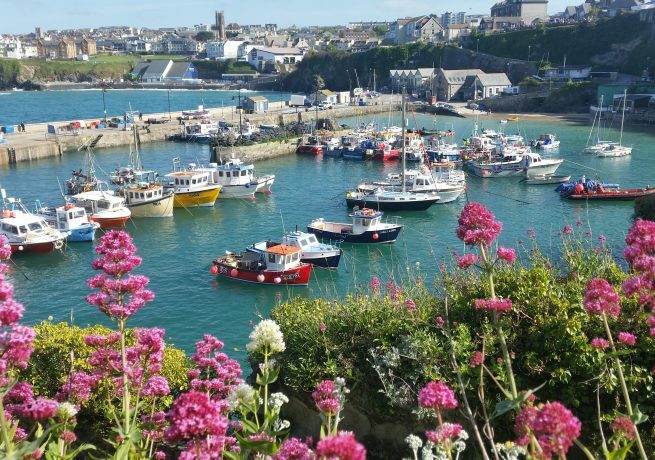 The Edwardian dwelling is set in large, landscaped private gardens on the fringes of the picturesque fishing village of Mevagissey, yet is only just a few minutes stroll from the traditional working harbour, shops and restaurants. The accommodation features three en-suite guest bedrooms set in a warm, contemporary atmosphere. From Mevagissey the route takes you along quiet country lanes, past beaches and the impressive Caerhays Castle with its famous spring gardens, and deeper into the beautiful Roseland Peninsula. 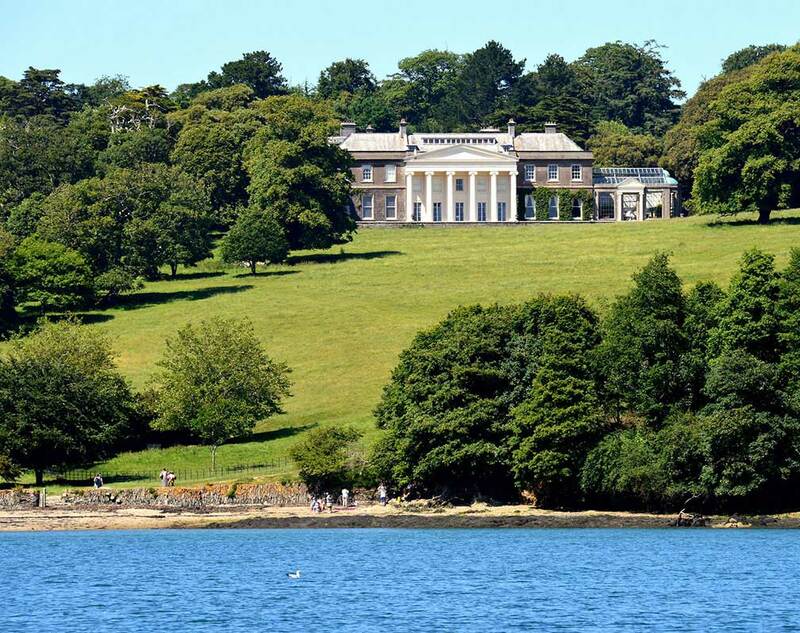 A trip across the Carrick Roads aboard the King Harry Ferry takes you past the National Trust gardens at Trelissick, and then a short ride into the cathedral city of Truro. The shortest day of cycling on the tour takes you from the south coast to the north coast. 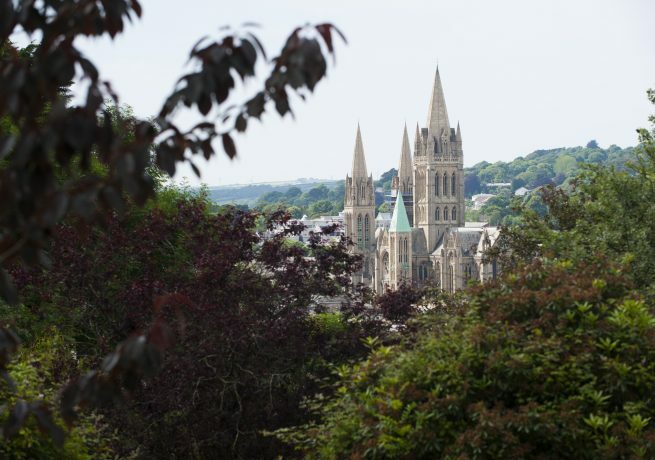 Departing Truro, the route skirts around Idless Woods (a perfect spot for a picnic), heading right through the heart of Cornwall. Following country lanes, this leg takes you past Trerice, an Elizabethan manor house with fine interiors and delightful garden owned by the National Trust – a great stop for a cream tea. Then it’s on to Cornwall’s surfing capital: Newquay. 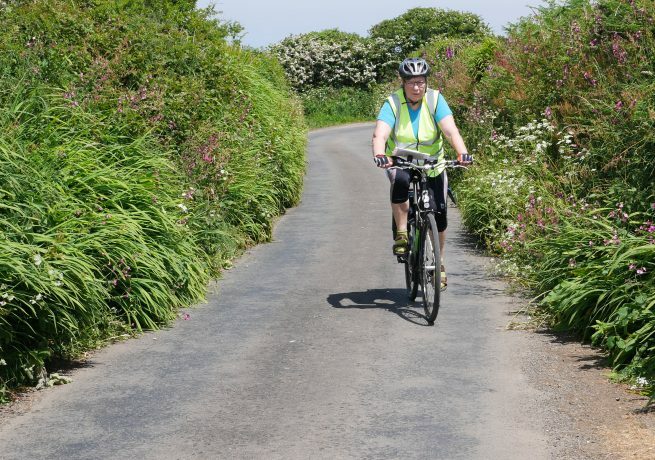 Leaving Newquay, the route follows National Cycle Route 32 through country lanes to St Columb Major, before heading north towards the coast. Rejoining the coastal road at Constantine Bay – a great surfing beach – the day’s destination is the nearby Harlyn Inn, located just yards from the crescent-shaped beach at Harlyn Bay. The Harlyn Inn, Harlyn Bay The Harlyn Inn is situated in a great location above the beautiful sandy beach of Harlyn Bay, just a couple of miles outside Padstow. The inn has two bars and two restaurants, catering for the whole family. All of their accommodation is finished to a high standard and their adjoining beach shop provides all your beach essentials, snacks and clothing, as well as surf hire and surf school facilities should you decide to take the plunge. A leisurely morning ride from Harlyn Bay around the quiet coastal lanes brings you to the ancient fishing port of Padstow. The town is known for its fantastic Christmas Festival and plentiful foodie offerings, with a number of great restaurants lining the harbour including Rick Stein’s Seafood Restaurant, Paul Ainsworth’s No. 6, and Prawn on the Lawn. 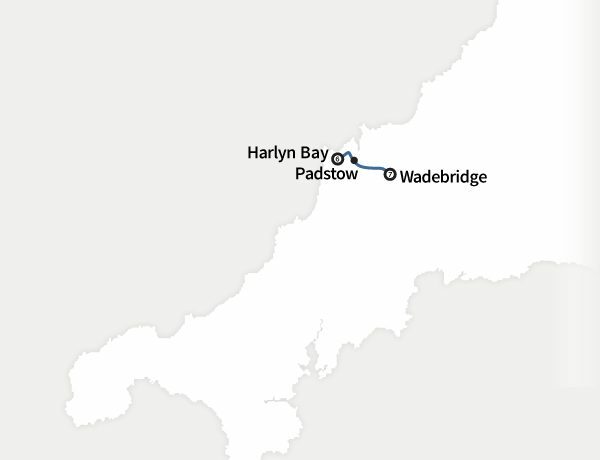 Padstow is also the starting point of The Camel Trail, the final leg of the tour back to Wadebridge. 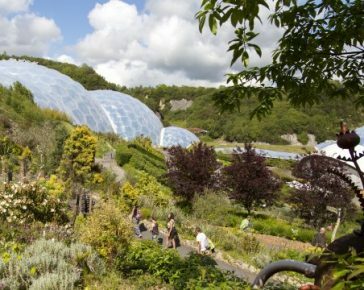 Situated in a former China Clay pit, the largest indoor rainforest in the world offers colourful gardens, towering biomes, and tasty local food. Set within a stunning estate, this National Trust country house is set within a stunning estate, featuring woodland walks and spectacular sea views. 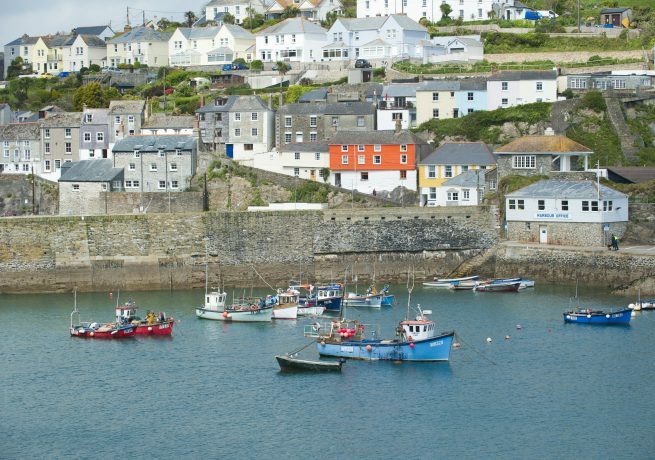 Renowned for its award winning restaurants – owned by the likes of Rick Stein and Paul Ainsworth – this charming fishing town on the north coast of Cornwall is surrounded by sandy beaches.